The Secret Life of Adolf Hitler was one of the first post-WWII documentary films to profile the reviled German dictator. 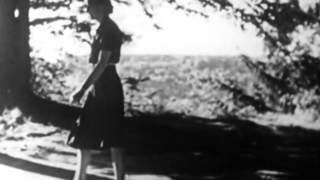 Featuring footage shot by the Nazis and Eva Braun's 16mm home movies, the program revealed first-ever glimpses into the private life of one of history's most ruthless despots. It was also among the first to feature interviews with members of Hitler's inner circle. These include Hitler's only full sibling Paula Hitler, his personal adjutant Julius Schaub, his pilot Hans Bauer, and his chauffer Eric Kempka. The Secret Life of Adolf Hitler may lack modern production values but it is both revealing and historically important. Fifty years after its original release it remains one of the more audacious portraits of one of the 20th Century's madmen.